Check out the latest spotted photos of Bollywood celebs here. Kangana Ranaut is prepping hard for her upcoming film Manikarnika which is expected to hit the screens in August 2018. She will be seen portraying the titular role of Rani Laxmi Bai in the film. Kangana is also busy shooting for a psychological thriller Mental Hai Kya opposite Rajkummar Rao. Manikarnika actor Kangana Ranaut posed for the shutterbugs in the city. Race 3 actor Daisy Shah was photographed in Mumbai. Malaika Arora was snapped at the airport. 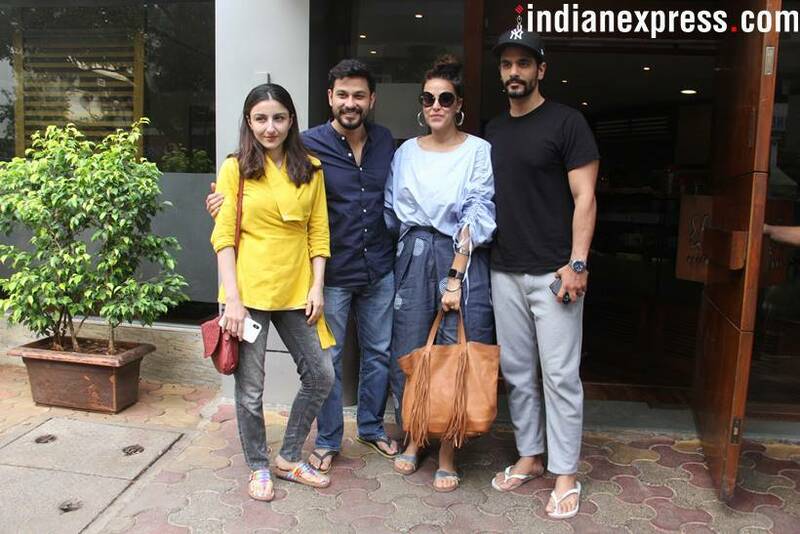 Soha Ali Khan, Kunal Kemmu and the newlyweds Neha Dhupia and Angad Bedi were photographed together. Shilpa Shetty was also clicked in Mumbai.